The overall effect is spectacular and looking closer you can identify every individual photo that forms the image. 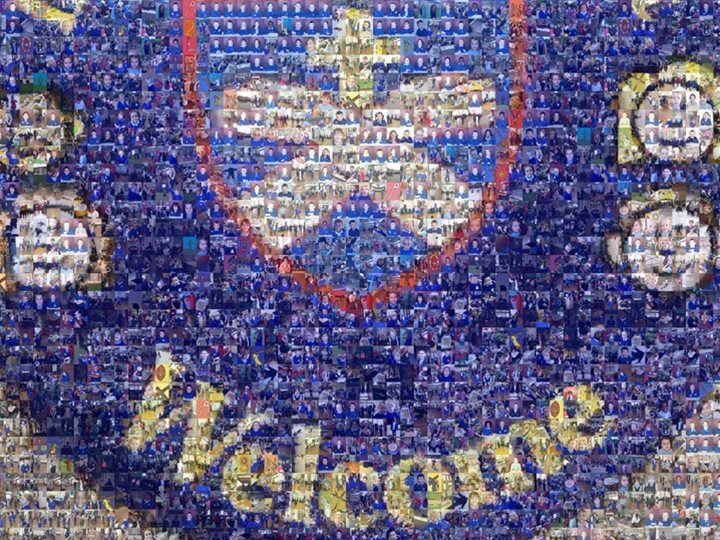 For instance, a school emblem can be made up of photos of individual pupils taking part in a special day. The perfect Snap Mosaic is achieved by providing a suitable Master Picture and supplying lots of individual digital photos. Education Group is pleased to work in partnership with Snap Mosaics. If you are a school adding a Snap Mosaic to your workshop, just add this option to your order. You don’t have to be a photography expert, just snap away and capture the moment!